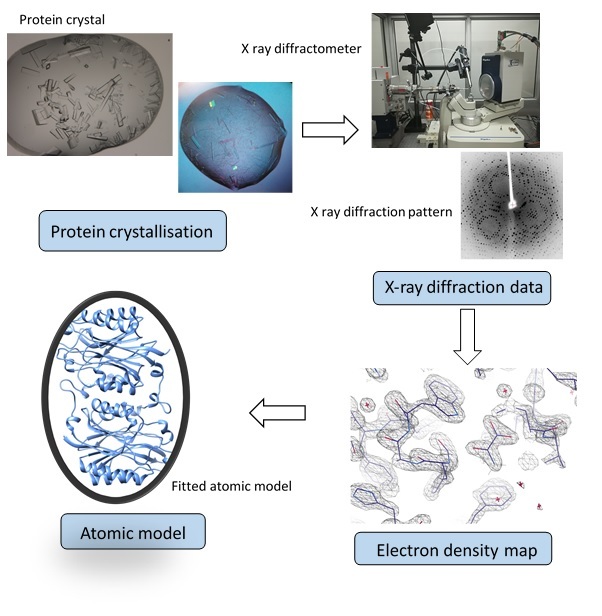 The X-ray crystallography facility is located in the Electron Microscope Unit and provides staff and students with a protein structure determination pipeline with steps ranging from protein crystallisation all the way to 3D model generation. X-ray crystallography provides a direct way of forming three dimensional images of protein structures. This structural biology technique has played a fundamental role in interpreting the secrets of life. This powerful tool has allowed structural biologist to elucidate the arrangements of atoms in biological macromolecules in order to understand the how they function at the atomic level. Since determination of the myoglobin structure in 1957, X-ray crystallography has fundamentally advanced our views on cellular processes and greatly facilitated development in biological fields including modern medicine and biotechnology. 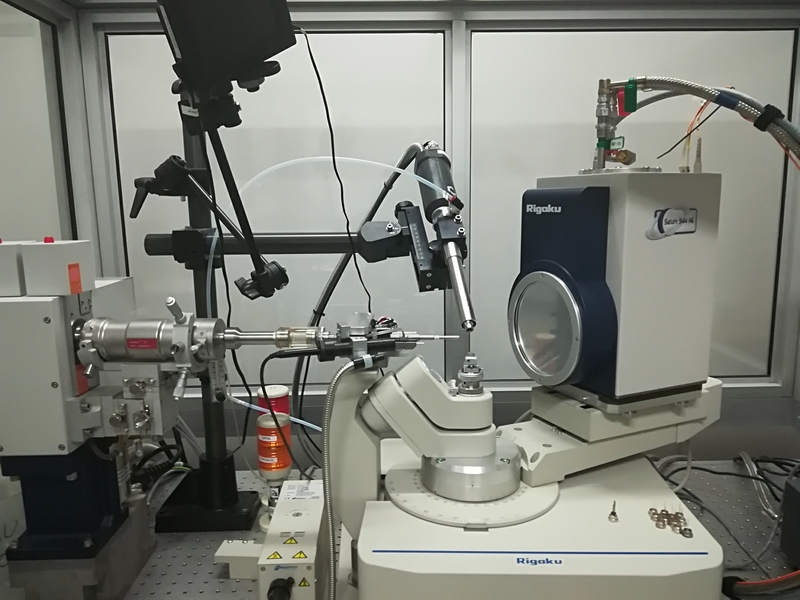 To obtain a high resolution structures of proteins using the xray crystallography techniq ue, one has to first crystalize the molecule in its pure state. Proteins, nucleic acids and large biological complexes, such as viruses can be crystalized but the process depends on the creation of a solution that is supersaturated in the macromolecule but exhibits conditions that do not significantly perturb its natural state. 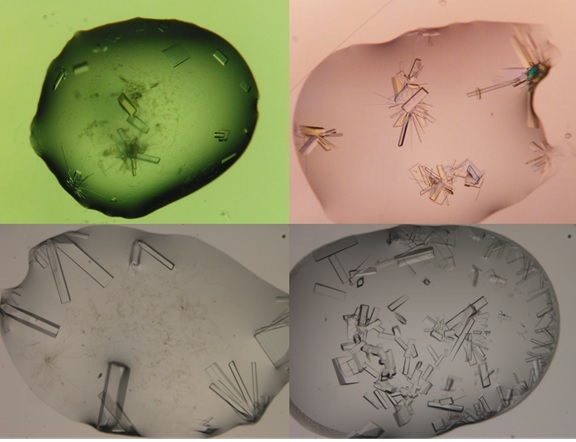 The crystallisation of macromolecules has to be optimal to produce high resolution structure thus a variety of crystallisation conditions have to be screened. These conditions include the type and concentration of precipitating agents, temperature, ionic strength and pH. 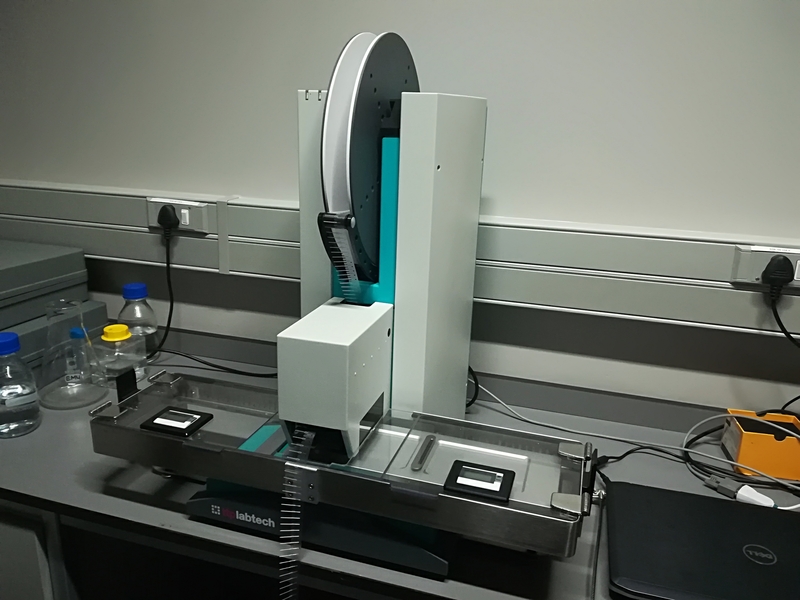 At the SBRU screening for crystallisation conditions is carried out using the Mosquito Crystal Nanolitre Protein Crystallisation Robot. At the EM Unit , screening for crystallisation conditions is carried out using the Mosquito Crystal Nanolitre Protein Crystallisation Robot. This instrument is the protein crystallographer's favourite liquid handler. It makes protein crystallography screening faster, more cost-effective and quite simply easier than ever before. It brings together spread, accuracy and high precision pipetting of nanolitre volumes with zero cross-contamination from a disposable tip. X-ray diffraction data of crystallized molecules is collected on a Rigaku MicroMAx-007HF X-ray diffractometer. In this instrument X‐rays are diffracted by the crystal at many different angles to produce a series of images with the diffraction pattern. 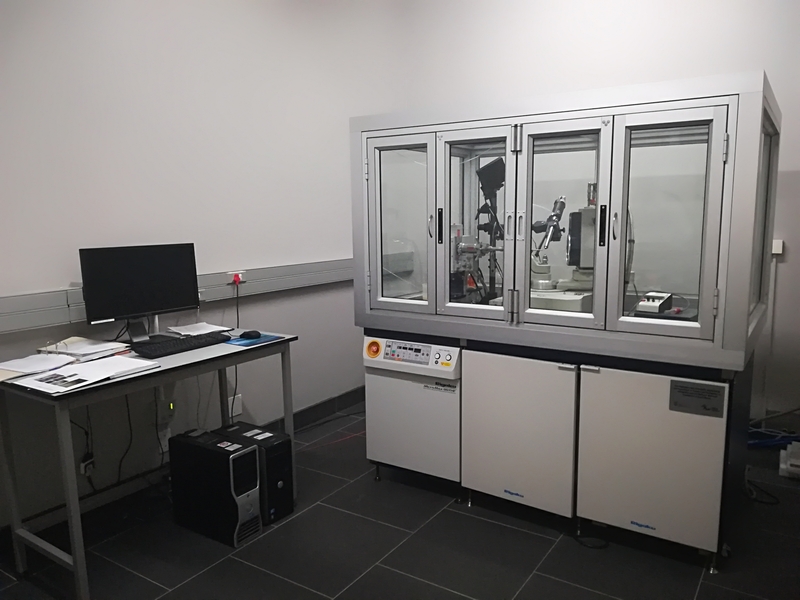 Structural information is then extracted from the x-ray diffraction to produce electron densities of the crystalized molecule X-ray diffractometer is housed in the EMU located in the basement of the New Engineering Building at UCT.